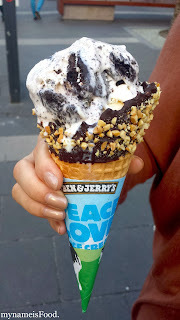 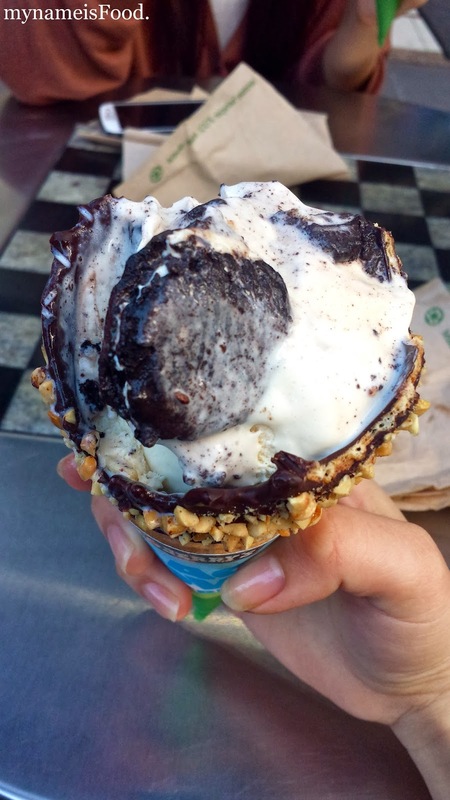 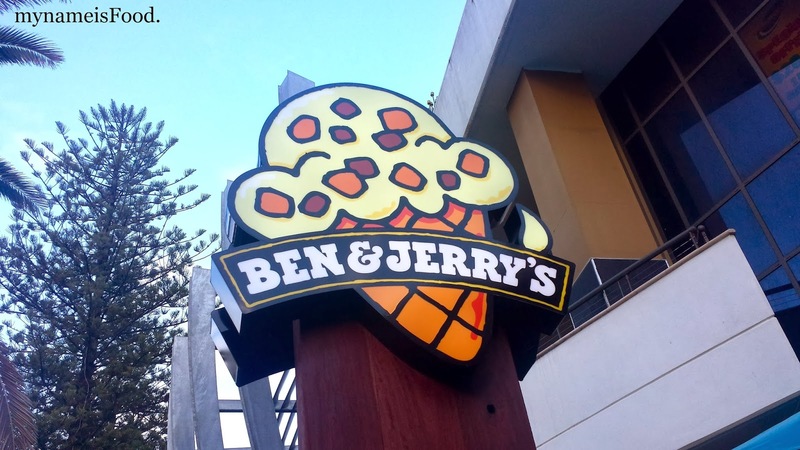 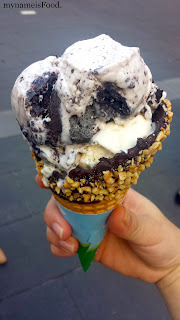 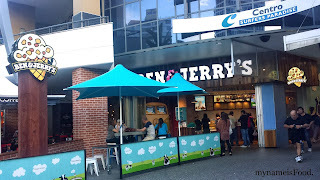 Ben & Jerry's, Cavill Mall, Surfers Paradise - my name is Food. There are assorted flavours as most of you ice-cream lovers know and who have tried Ben & Jerry's flavours, you may realise that many of their flavours are unique and different, not easily found in other ice-cream stores.. You could order the normal waffle cones or the dipped cones.. 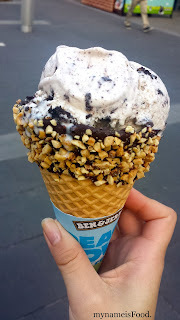 I chose the peanut dipped cones to accompany my 2 scoops of ice cream.. We all bought one each so we ended up having like all these different flavours to eat..
A few of my recommendations of Ben & Jerry's ice creams include; Sweet Cream & Cookies, Chocolate Chip Cookie Dough, Clusterfluff, Coconut Seven Layer Bar, New York Super Fudge Chunk and the Coffee Coffee Buzz Buzz... Next time you go down to Surfers, make sure you give their ice creams a try.. Yes, it may be more exxy than other ice cream places, but def worth a try..